It may not be a marquee name, but PDF Complete is a capable—and currently very affordable (at $59.95)—alternative to Acrobat and other powerful PDF editors. Pairing the basic tools of its Corporate Edition with users’ most requested Office Edition features, it’s a one-stop shop for all your PDF needs. PDF Complete’s interface hews pretty closely to Adobe Acrobat’s, with a toolbar running across the top and controls for navigating individual PDFs down the right side. Each PDF opens in its own tab so you don’t have to shuffle through multiple windows to find the one you need. But like Acrobat Pro DC, PDF Complete includes a wealth of features you’d need to manipulate documents in a business setting. You can create PDFs from a variety of file types, including images. When working with existing PDFs, you can add or delete pages, move them around, and even extract select ones to create a new PDF document. 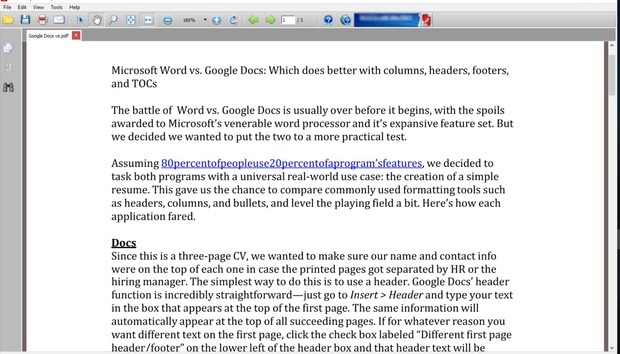 You can also combine multiple PDFs into one document. PDF Complete’s interface is similar to Adobe Acrobat’s, with a simple toolbar and navigation pane. PDF Complete includes a full set of editing features, including the ability to add, replace, or delete text; modify fonts; and adjust and move images. You can also annotate documents with sticky notes and comment boxes, as well as highlighting, underlining, and striking out text—must-have features for collaboratively creating and reviewing documents. Passwords and permissions are supported for securing sensitive documents, as is permanent redaction of text and images. And you can add a digitized signature to a document using a mouse. As PDF Complete Office Edition’s name suggests, the editor performs top-shelf Microsoft Office conversions. But it also now exports to Open Office, XML, eBook (EPUB, ALTO, FBW), and Microsoft XPS formats. One of PDF Complete’s most impressive features, though, is its wealth of support options. A “learning center” offers easy-to-follow text tutorials on virtually every basic and advanced function, and these are invaluable if you are transitioning from another PDF editor. The website also includes a rich searchable knowledgebase and ticket-based support if you can’t find an answer to your issue within these other resources. 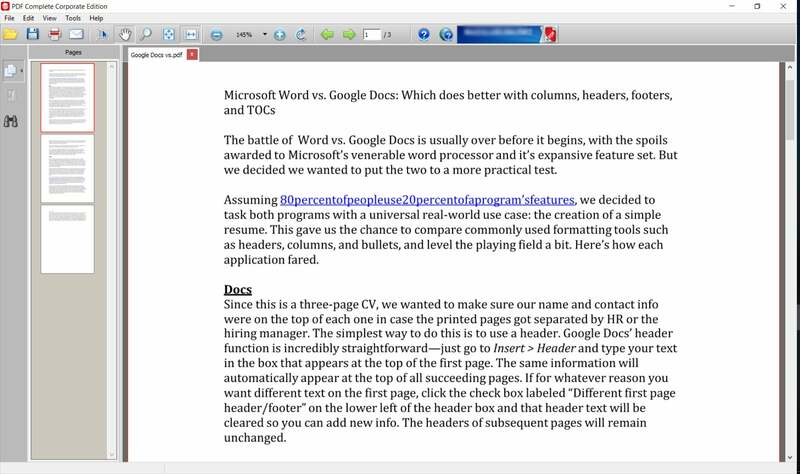 A single license of PDF Complete Office Edition 4.2 is currently being offered for $59.95, a significant markdown from its regular $129.95 price tag. Purchase includes a free upgrade to Office Edition 5.0 when it’s released. Volume discounts are also available when you purchase five or more licenses—just enter a quantity on the website checkout page to click “recalculate unit price.” A free evaluation demo is available, though it enables only the most basic features. Though PDF Complete may not be as well-known as other Acrobat alternatives like Nitro Pro and PhantomPDF, it’s well up to the task of being your primary PDF editor. That and its budget-friendly price should earn it a spot on your shopping list.